Thirty per cent of the total token supply (3 billion NEWS tokens) has been allocated to the reward pool. Tokens from the reward pool will be distributed among good actors as part of a reward system that promotes the growth and development of the PUBLISHprotocol ecosystem. The reward system in its current development phase will be demonstrated on TokenPost Korea Edition. By doing so, the full extent of the solution in its default state will be sufficiently explained all the while effectively suggesting one potential version of a comprehensive way in which the protocol can be utilized by other onboarding publishers. 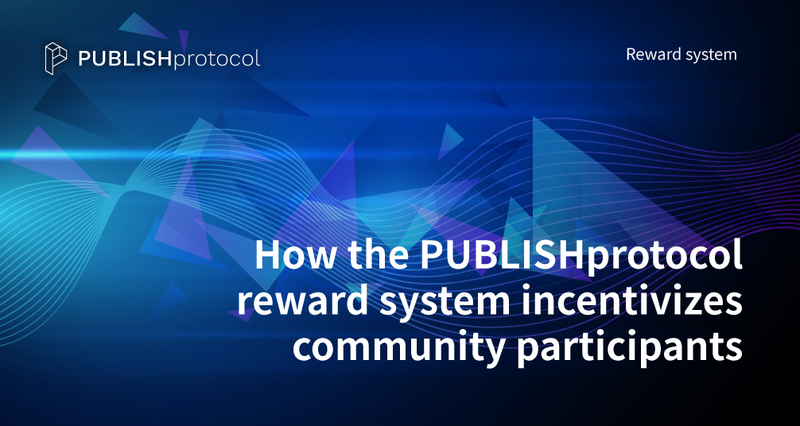 The reward system rewards community participants — namely Producers, Community Editors, and Consumers — for actions that promote the vitality of the PUBLISHprotocol ecosystem. Consumers, or readers, read and comment on new articles. Consumers can be rewarded in tokens when visiting a site, reading articles, leaving comments, upvoting and downvoting content, sharing content, and staking tokens. Consumers may also be compensated for pointing out errors in published articles. Consumers are generally required to stake a certain number of tokens in order to be compensated for these actions. Producers are journalists or reporters who produce news content. To submit a news item, Producers must stake a certain number of tokens. There are two ways in which Producers can receive NEWS tokens: if an article is published and if an article is upvoted by consumers. Community editors earn reward tokens by editing news content. To become a community editor, applicants must stake a designated amount of NEWS tokens and meet a minimum set of criteria. Once approved as a community editor, tokens may be unstaked at any time. However, in order to perform editing activities, staking is required.